After a close vote by delegates attending the 2017 Kent and Medway Sports Conference, representatives from the winning project, Primal Roots and also the two runners-up, Wheel Potential and Shepway Sports Trust-Active 50 were presented with their awards by special guest Charlotte Edwards. 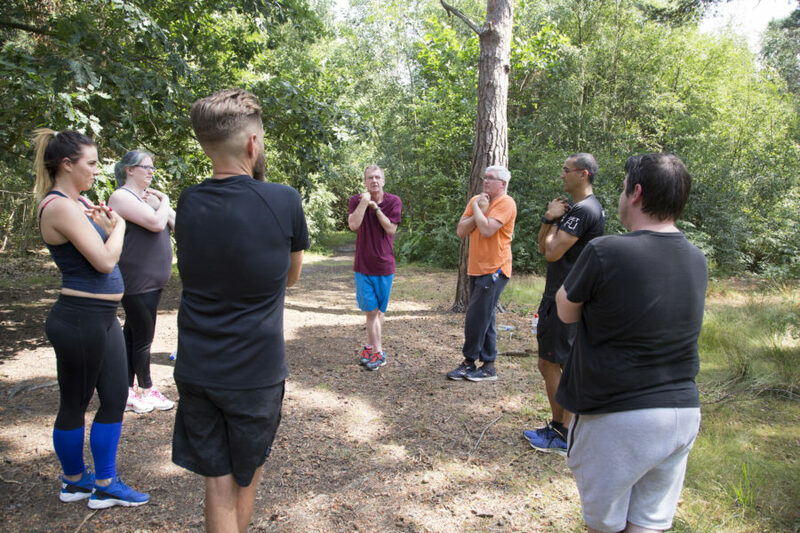 Primal Roots uses the natural environment as an alternative gym to support people with complex needs, including young adults, ex-offenders and people living with mental health issues. Movement and meditation in green spaces are used as a way to support people facing a range of difficulties, including homelessness, post-traumatic stress disorder, offending, mental ill-health and drug abuse. The initiative works with a wide variety of health partners and local agencies in Ashford, Canterbury and Dover including: Porchlight, Turning Point, Dover Big Local, Avondale Care, Live it Well Kent, Action with Communities in Rural Kent, Eastern and Coastal Kent Community Health NHS Trust. Clients receive support not only to improve their physical health but also their mental health. Primal Roots feels that not enough clients engage with health support from statutory services and that nothing like the alternative offered by them exists in East Kent. The project is about uniting movement, nutrition and meditation, and supporting the part of the community that has ‘baggage’ to get active.